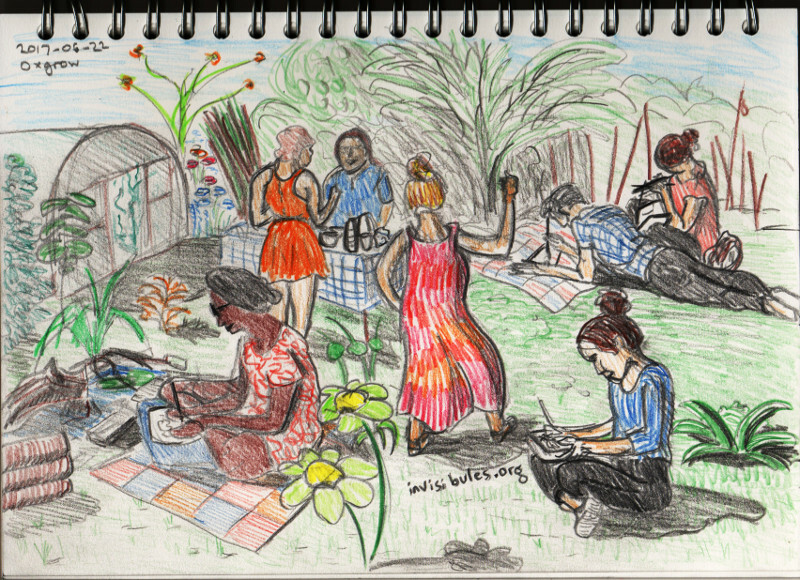 Thanks to Oxgrow for organising a session of drawing and painting in their beautiful community garden. It is very interesting how your art has developed and improved over the years, but somehow, I miss the earlier cartoon strip. Lovely way to spend an afternoon, whether or not you can draw (I’m in the “not” group).